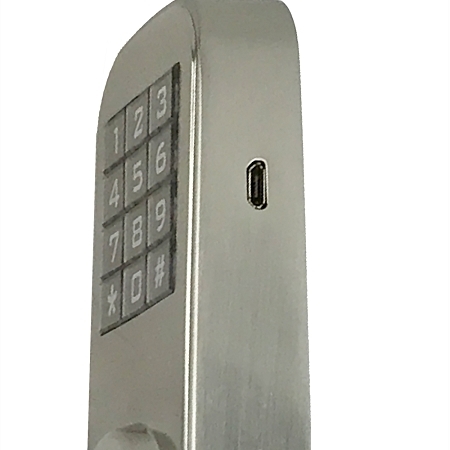 Adjustable backset 2-3/8" or 2-3/4" / Fits door thickness between 1-3/8" (35mm) up to 2-1/4"
This password/combination door lock offers great convenience of reliable keyless access by code. 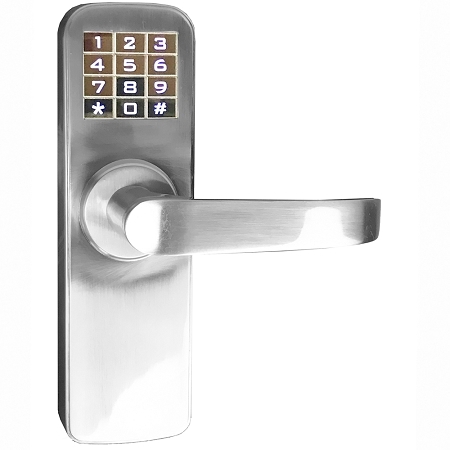 User can setup up to 50 different password/ codes for access, each code can be set from 1 to 13 digits. 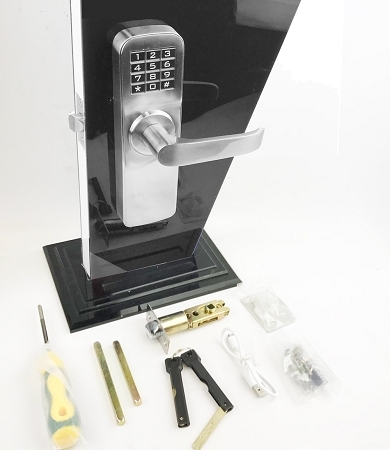 If needed, user can still use the backup keys included in the package to open the lock. 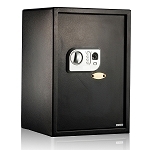 Ideal for commercial storage rooms, utility closets, garages, etc. 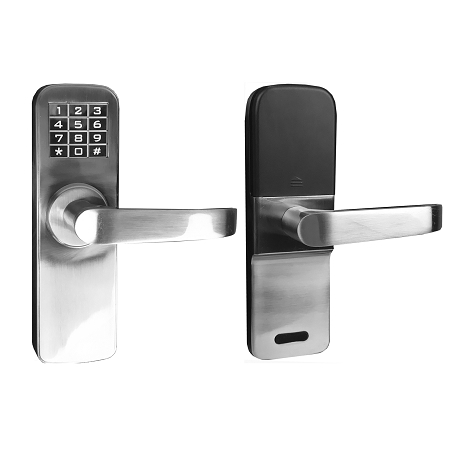 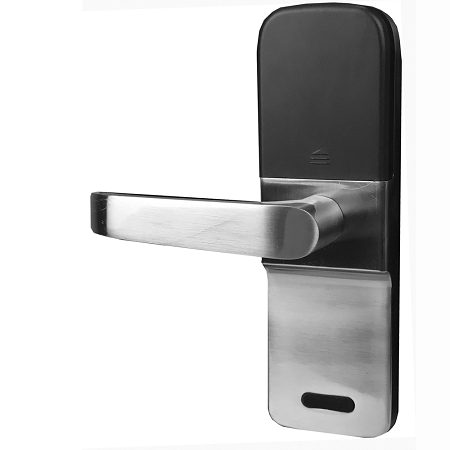 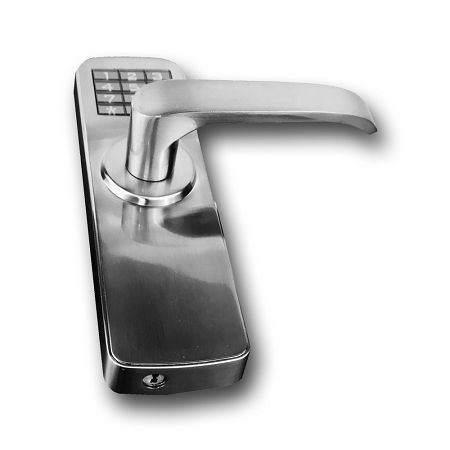 The door handle functions as a deadlocking spring latch, meaning it's always locked, and after the door has been opened, it immediately defaults back to a locked position or you can still set it to always unlocked mode. 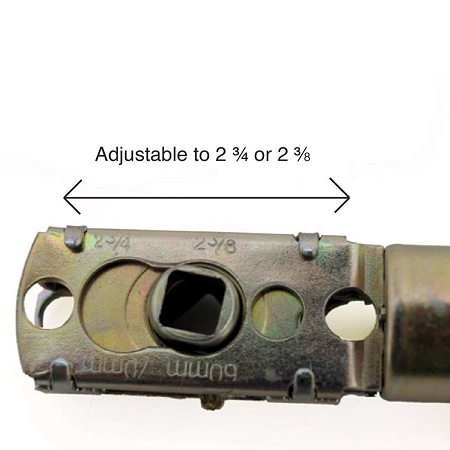 - Anti-peeking function - You can add random code before or after your real code to prevent others from peeking your code. Please note: This lock doesn't support locking from inside.